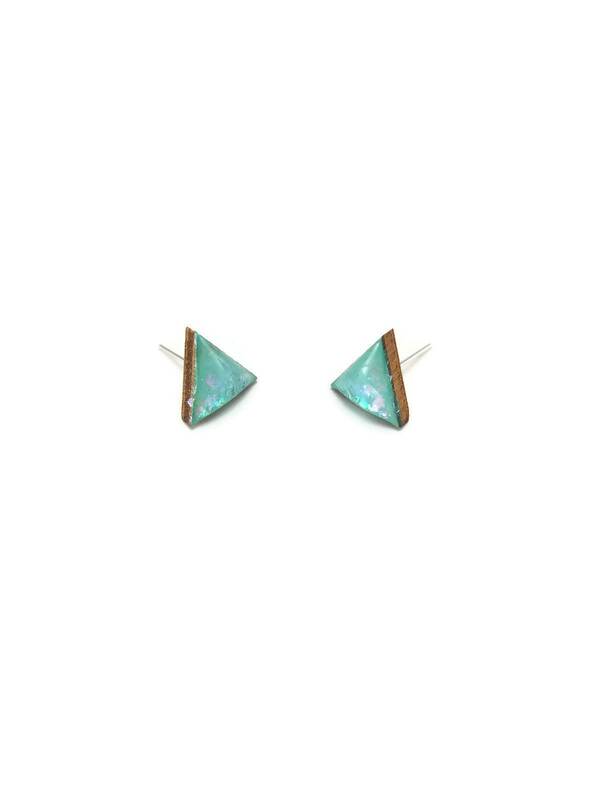 Tide and Timber have combined dyed resin, metallic pigment and wood to create a one-of-a-kind pair of opalescent earrings. Carry a little bit of nature with you wherever you go. 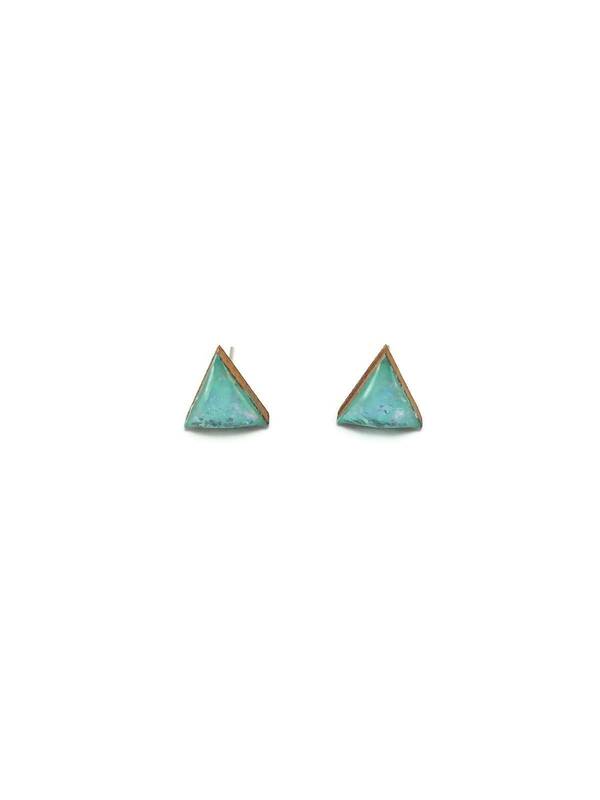 These earrings make a wonderful gift. They are so also versatile, with multiple colors and reflective colors, they will go with anything. 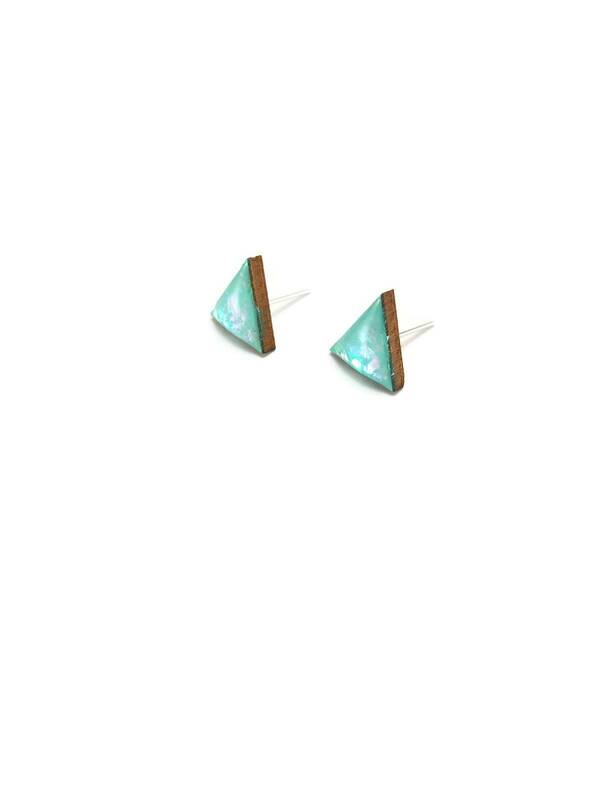 These little gems are one of a kind resin and wood and are a beautiful turquoise with multi-colored reflective pigment.